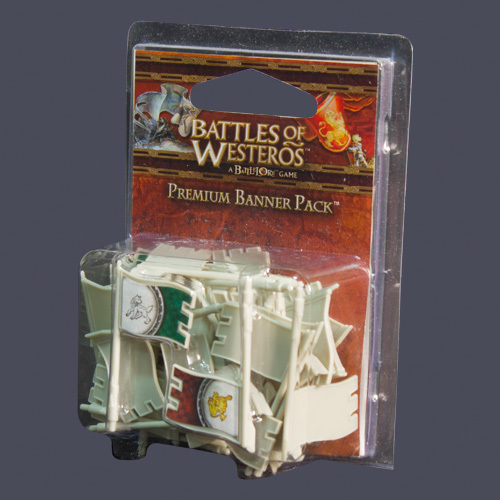 The core set and first expansions for Battles of Westeros had cardboard banners on top of plastic poles. They were functional but a little clumsy and just didn't do the awesome miniatures justice. These premium banners are truly a must have...full plastic with stickers for the house colors of Stark and Lannister...they are awesome!